In order to maximize the lifespan of your roof, proper roof repair and maintenance is essential. Service One Inc. offers complete roof repair and maintenance services that protect against the elements and increase the longevity of your commercial roof. We use trusted Tremco Roofing products for our commercial roof repair and maintenance service. Whatever the appropriate solution is for your commercial roof, Service One Inc. has the knowledge and expertise to complete the job efficiently and economically. 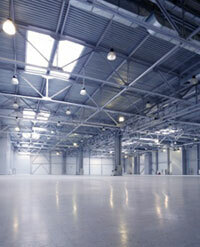 Looking for commercial roof repair and maintenance for the Carolinas? You can call us at 828.684.5860, toll free at 800.849.0410, or fax your requests to 828.684.5820. We are able to serve the Carolinas and into Tennessee. Our coverage area includes, but is not limited to, Asheville, Hendersonville, Brevard, Fletcher, Lake Lure, & Black Mountain, & Marion, North Carolina. Greenville, South Carolina. Knoxville, Tennessee.